This one will probably get people angry. It's impossible to even mention Star Wars these days without someone bringing up The Last Jedi and the divisive opinions it created. Some despised it and will literally call it the worst movie ever made, while others enjoyed it. As I noticed yet another section of Facebook comments complaining about how Rian Johnson has personally killed their families by directing the movie, I started to ponder on the future of Star Wars. Both the movies and the franchise as a whole. Why no love for the purple lightsaber?! So automatically, you'd think I'd be completely prepared for the finale of the sequel trilogy of Star Wars and fully prepared to deal with yet more divided opinions between the fandom. Hell, I've already been told I'm not a "true Star Wars fan" for enjoying a recent Star Wars film, so surely the worst has already come for me right? The situation with Finn, a character who has been building up to an ending that I personally have no idea about. In The Force Awakens, he abandoned his life as a Stormtrooper, while The Last Jedi showed him learning more about how war has no "good and evil", and the only ones who benefit from it are the filthy rich. So where is his story actually going? Is he going to lead the rebels, making sure they are the good? Carrie Fisher has tragically passed away. And out of the main trio of characters, hers was the only one still surviving, ironically. Most likely, the film will have Princess Leia pass away between Episodes 8 and 9, but it is still worth mentioning since her death needs to be handled well. A recent interview revealed they won't be using motion-capture like they did with Grand Moff Tarkin/Peter Cushing in Rogue One. Thank God. When Disney were releasing The Force Awakens, they told us all that they "would keep making Star Wars movies for as long as people made them". To put it simply, they won't stop unless it isn't profitable. And that's fair, since they are a business. However, there is a possibility that this could have a negative effect on the film. 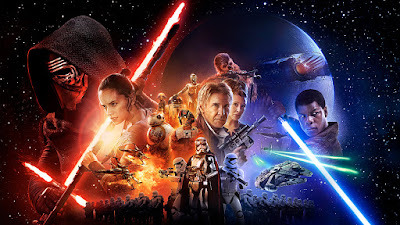 What if plotlines are left open-ended to be continued in a sequel to the sequel trilogy? What if characters die before they are fully explored, leaving behind room for a prequel? This is something I fear with every conclusion, from Planet of the Apes to Naruto, so it warrants a mention here. However, we all know Star Wars is a special case and one that is constantly needing to adapt and twist itself as the gaze of nerds and geeks around the world watch its every move. After the reception of The Force Awakens, The Last Jedi was changed in several ways and the final product we got was one that was practically made to subvert expectations, for better and worse. Theories around the internet were blasted apart, and chaos still occurs in the forums to this day. Right now, Star Wars is hated by its own fandom. 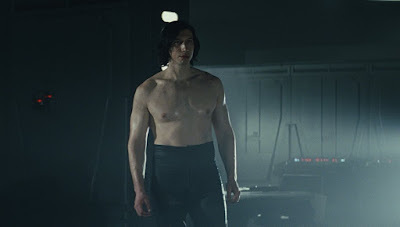 There is also a weird obsession with Kylo Ren's body in this scene. Which brings us to the conclusion that everyone working on Star Wars Episode 9 will be trying to find ways to answer the most common complaints and criticism, and this could easily backfire in ways we don't realise. "Too much levity." What if Episode 9 becomes a miserable experience of drama without any smiles or joy, instead resulting in a galaxy far, far away from entertainment? "Not enough focus on Character Q or S." What if Episode 9 wastes time developing characters we don't care about, rather than the ones we love? These comments may sound hysterical, but it is the type of corporate overcompensating that we have seen many times from many different movie companies, with Warner Bros' DCEU most infamous for it at the moment. The last thing I want to see is Star Wars become a checklist, ticking off everything they think "the fans want". Less awesome action! More pokey-pokey action! The true irony of my worry however is that deep down, I don't think it matters what Episode 9 does, because let's be honest: Star Wars fans aren't happy that the sequel trilogy exists in the first place. While it has always received a warm welcome from casual fans and critics, both the Force Awakens and Last Jedi have been butchered for every flaw from the legitimate grievances (General Holdo's plan) to the truly pathetic ("Last Jedi is full of beta male protagonists", and yes I saw insecure men saying that) so Episode 9 won't ever satisfy. Did you know some people are upset Admiral Ackbar didn't get a funeral scene? 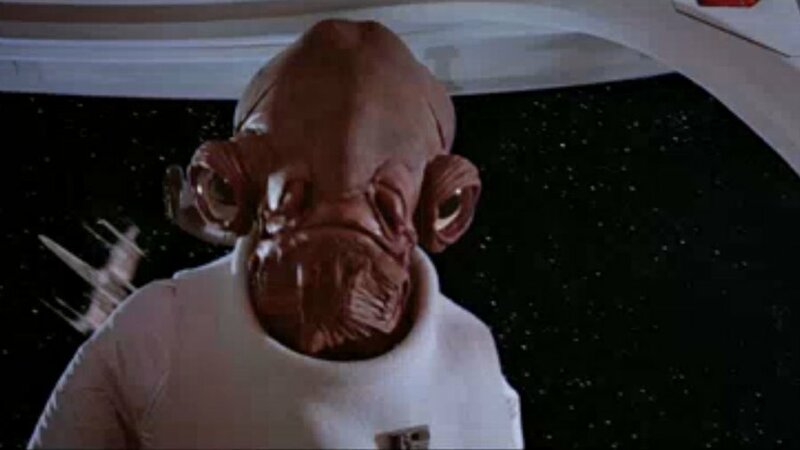 Admiral Ackbar, a character who appeared in Return of the Jedi and did nothing memorable except say "It's a trap!" in epic fashion. Do we know his flaws? His quirks? His relationships? His goals? His dreams? No! All people know about him is his design, a few lines and that they grew up with him. So when he died, "true fans" got upset and said the film should have taken ten minutes to give him a funeral, instead of focusing on everything that mattered like Luke and Rey. Complaints like this are why I am truly worried about what Episode 9 could become. Did you know his first name is "Gial"? I'm willing to bet less than half the fandom even knew that. Or cared. (No offence to the actor or puppeteer, by the way). Personally, I think Episode 9 should do whatever it originally planned to. Stick to their guns, make sure to double-check that the biggest flaws aren't there so we don't get General Holdo's awkward plan, and keep things fun and exhilarating. Episode 9 will be hated either way by "true fans" while critics will love it, so they might as well. Episode 9 could literally have Darth Maul appear as a Force Ghost and battle against Rey, and people would say it is awful. If it even touches the original characters in any way, it is hated for existing. Rogue One and Solo don't get the hate because, to put it simply, they are disconnected from Luke and the gang. The episodes are not. And don't worry, readers. After Episode 9 comes out, I'm sure the "true fans" will make plenty of angry videos and petitions against the film like they did with The Last Jedi. It's inevitable. And as I've often been told, I'm not a "true fan" because I enjoy the majority of the films, so you don't need to worry about me. At least Solo is getting decent reviews though. 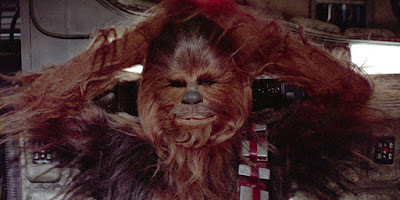 At least we'll always have Chewie... Oh God, I hope we will! pretty sure solo was average where no one wanted it and no one will really come back to it. kind of like how no one wanted Boruto but got it cause at this point it's just a cash cow over anything interesting in it's plot or characters. so yeah you're pretty fucked in this situation cause you lose no matter what. even saying that last bit in how you don't matter already likely got you mentioned on someone's random blog lol. that's just how it is with star wars at the moment. hell I'll probably get mentioned and crucified for commenting here. From what I've heard, Solo is fun enough. The premise just isn't very interesting. And yes, Star Wars' "true fans" have become so ravenous that whether you love it or hate it, you will be attacked for it. Basically, enjoy it. Don't enjoy it. Have an opinion then move on. Like you do with every other film out there. Firstly , there is a real fans we all know them . Secondly , i am not a one. Thirdly , You and i enjoyed the film for different reason (me the visual and score ) while for fandom this is life . Disney has destroyed the franchise , and this was deliberate . They were trying to make a feminist movie with Central female protagonist and several supporting female cast , and killed solo and Luke unceremoniously and destroyed the ancient text by Yoda ghost ( whaaat!!!) . They were very clear about what they are doing . Hilariously, In the end the girl ended being Mary so and the most interesting character was kylo rin . I sympathises with the fandom as i still in rage from konami treatment of Kojima and the MGS zombi debacle . The "true fans" remark is to show the ridiculous elitism of people who hated the film and openly judge those who di so. "Feminist movie". Yawn. Just because a woman is fighting instead of being a love interest does not make it some sort of agenda. Harrison Ford wanted his character to be killed off since Return of the Jedi. Blame him if you must get angry at someone. Oh and Rey saved the Jedi texts. We saw her with them in the ship at the end. Yoda Ghost obviously knew that. Higgins , did you buy every toys and custom?did you know how Lucas was inspired to make star wars? , or from where storm trouper mask came from ? etc . I know people how can tell you and more . they hold party every year and watch the old trilogy (without Lucas "improvement" ). Fandom are there and it is the bread and butter . I sure as hell will not go to exhibitions , buy graphic Novell and try to write and speak in star war language ( i know couple of friends who can ) . Which bring me to this , trying to brush the fandom hate as elitism is ignoring that they where the one who kept it going , as Disney it self said . I have no problem with them trying to put a female protagonist ( i liked rouge one ) but in this case the main character was so ridiculous strong ( beat Jedi master without training after holding the sword for the first time ) that she came out Mary so . Again , i and (probably ) you didn't invest too much in the series , so we will move on . but the fandom , let just say that it will be like Naruto ending reaction but on steroid . Star war fandom toxicity will be on full force ( pun intended ) . I've bought tons of toys and costumes over the years. Hell, one of my favourite Halloween costumes growing up was of Anakin Skywalker in his pod-racing helmet. I adored the series and I still do... BUT there is definitely a group of people who are saying "true fans hate Last Jedi" and that is the group that irritates me. It doesn't matter how deep into a fandom you go. If you like something, you can be a fan of it. I'm a true fan, and I don't need to be able to speak the language of Jabba the Hutt to be one. Nobody does. That's the point I'm making. No SW fan should look down on another just for being less obsessed. Oh yeah, Rey has Mary Sue tendencies no doubt. She has less tendencies in Last Jedi than Force Awakens personally, but I do agree there. For your point... I can see it going either way. Episode 9 will probably do great, but after that I don't know if I'd mind it stopping. I enjoy Star Wars greatly, but it isn't like Marvel that can keep going forever. I'm invested in the series but not to an obsessed level. I welcome changes to it, after all. And you're right there... I think we need crash helmets to handle the reaction to Episode 9. It will be a bloodbath!